Two years ago, the Columbia-Snake River Irrigators Association warned Northwest governors that allowing renewed Endangered Species Act (ESA) litigation would lead to a fifth remand against the Columbia-Snake River Hydro System operators. U.S. (Oregon) District Judge Michael Simon has validated our prophecy. 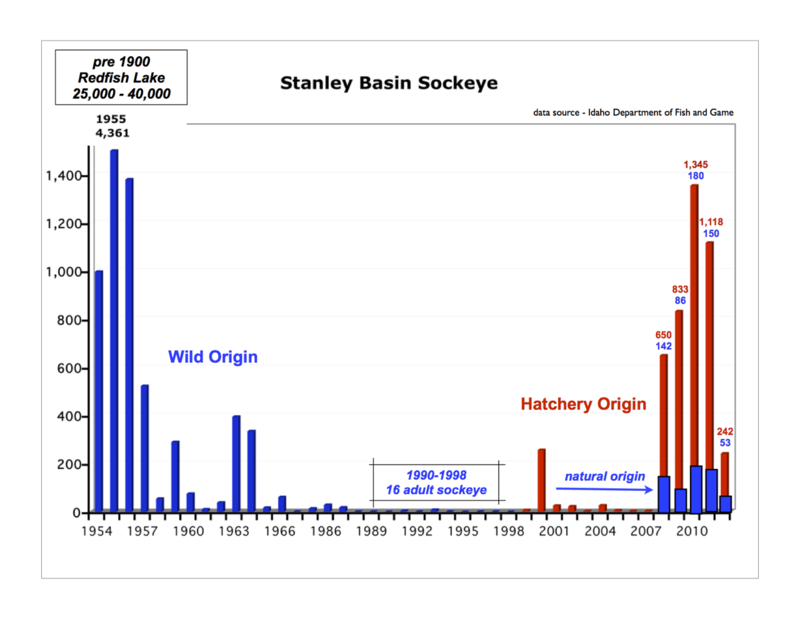 About 1,357,000 Chinook salmon above McNary Dam; with an additional 825,000 sockeye headed for the mid-upper Columbia regions. About 386,000 steelhead above McNary Dam. 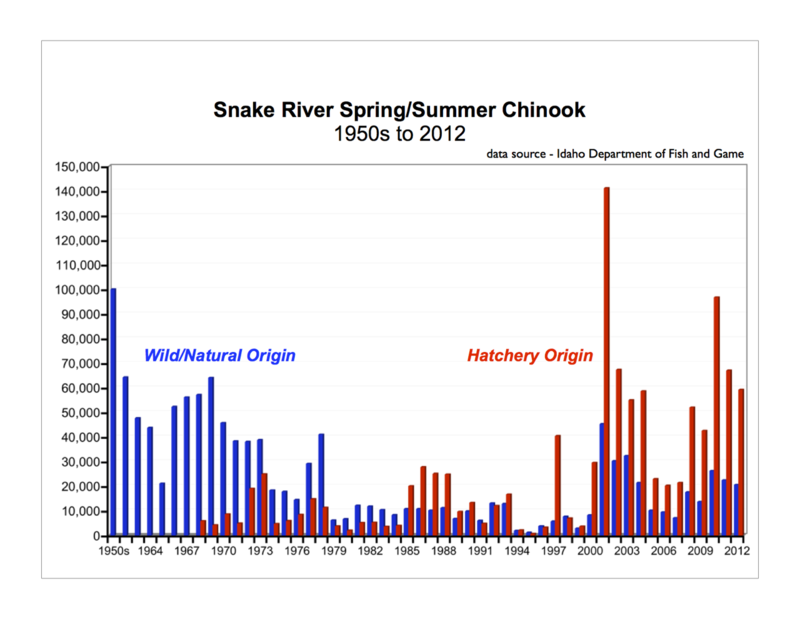 About 334,000 Chinook salmon and 304,000 steelhead above Lower Granite Dam; including about 35,000 wild Snake River fall Chinook. By now, it should be apparent that some irreverent groups will always preach that river system operations "jeopardize" the continued existence of the fish. More precisely, the vagueness and ever-expanding definition of the statutory term "jeopardize" means that so long as some micro-index fish run, in some small tributary somewhere, does not bountifully flourish, the mainstem hydro project operators should be unjustifiably held responsible, and should be subjected to tribute payments via extractive litigation. The federal agencies, with other state/local governmental authorities and some tribal entities, have developed the most extensive fish protection and enhancement program in the world, funded by billions of Northwest ratepayer dollars. Regardless, extreme environmentalists, aided by thoughtless judges, will relentlessly embroil the region in litigation -- seizing even more billions of dollars of household income -- so long as the last ratepayer stands. Their objective scoffs at sound resources management -- taking money is the measure of good, not more fish. The Endangered Species Act has a remedy to end this nonsense. It allows state governors the statutory right to demand that an ESA committee be convened, nicknamed the "God Squad." The ESA committee has the power to exempt further "mitigation" from agency action, to finalize "reasonable mitigation and enhancement measures" once and for all. The governors should end this legal purgatory. Some godly righteousness is needed. Ron Reimann is president of the Columbia-Snake River Irrigators Association. The CSRIA is an intervener in the biological opinion litigation that the federal courts have overturned five times in the past 15 years. Their office is in Kennewick. bluefish finds: via internet search, Ron Reimann represents T&R Farms which pumps reservoir water impounded by Ice Harbor dam over 400 feet to irrigate 3,200 acres of wheat and apples. Founded in 1971, T&R Farms has 8 full time employees and generates an estimated $780,000 in annual revenue.